Set your lineups and pull out the old game tape—football is here. This year, you can experience fantasy football vicariously through (or commiserate with) Harper Duquaine in First & Goal by Laura Chapman. What begins as a way to make nice with her new co-workers soon becomes an obsession for Harper as she navigates the ups and downs of managing a fantasy football team. 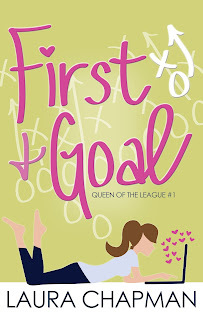 Add in a pair of meddling brothers, a crew of quirky colleagues, and a league-mate who makes her toes curl, and Harper’s football season has plenty to keep her interested. This new romantic comedy is now available from Marching Ink on Amazon, Barnes & Noble, and Kobo. Join in the fun and cheer Harper on as she takes on the old boys club. If you can’t beat ‘em, join ‘em. Then beat them. When Harper Duquaine’s no-nonsense approach to work unintentionally ruffles the wrong feathers at her new job, she joins her co-workers’ fantasy football league to prove she can hang with the guys. Only problem: she doesn’t know a sleeper from a keeper (or any of the other lingo thrown her way). Embroiled in a world of lineups, stats, and trades, Harper’s quest to make nice topples when her competitive streak emerges. And her promise to herself that she’ll be a strong, independent woman and leave the drama and heartache behind is seriously tested when she catches the attention of her two biggest competitors: J.J., a local celebrity determined to win a fantasy championship, and Brook, the mild-mannered coach who seems too good to be true. Both threaten her resolve to remain single… and, more importantly, her chances at winning the prize pool. With a slew of conflicting advice in her real and fantasy worlds, Harper must figure out how to play the game and come out a winner. My new novel, First & Goal, tells the story of a twenty-something woman who gets caught up in the world of fantasy—and real life—football when she joins a league with some of her co-workers. I was inspired to write this story for a simple reason: I love the game. 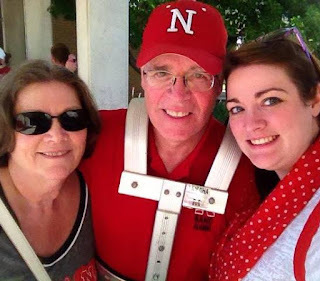 Looking back at my life, some of the greatest – and lowest – moments involve my ‘skers. I remember going to my first football game when I was about six. During that game, I learned a few big lessons during that game. 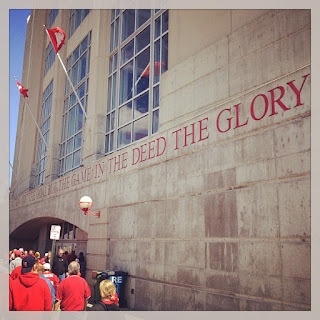 I learned how to sing the Nebraska fight song. I learned the appropriate response to a drawn out “Goooo Biiiig Reeed” is a shorter, but louder “GO BIG RED.’ And I learned not to get too attached to red balloons, because you don’t get to keep them after the first touchdown. A couple years later, I had the joy of watching (on TV) Nebraska win back-to-back National Championships in 1994 and 1995. In 1997, I watched a third national title. I developed crushes on players. I dreamed about one day attending UNL and scoring my own set of season tickets. And then we, as a Husker nation, had a few – OK, several – rough years. By the time I did go to college, Nebraska was breaking a lot of records, only ones that were bad, like, most points scored against them. Or first loss at Memorial Stadium in years. But, my senior year, I finally got those season tickets, and I went to each of the games. A lot of them were rough. They were definitely disappointing. During this time I realized just how important it was to be part of my community. Nebraska fans have a reputation for being nice. I’ll admit, I’ve met some Husker fans who are big jerks, but in general, we’re a good time. At 23, I moved to Houston. Though I’d been excited for a new adventure, I soon found myself lonely. I was working from home, which made making friends difficult. But through the Nebraska Alumni Association, I learned about “Houstonians for Huskers” and the watch parties they held every week. And it was wonderful. Every Saturday, I left my one-bedroom apartment and walked into a crowded bar, where I was suddenly among friends. It was like having a piece of home with me when I was almost 1,000 miles away. I only missed two of those watch parties. One was when I was back in Nebraska, and I went to the game with my mom. The other was when the game fell on a Thursday night, and the watch party was too long of a drive from my home on a school night. So I went to a nearby bar to watch with a couple of my girlfriends. It’s one of those places that gives each of the tables its own set of speakers, so you can listen to whichever game you want that’s showing on the wall of screens. It was Nebraska versus another former Big 8-turned-Big-12 school. It wasn’t a good game to start. It was pouring rain, and both teams were slipping and sliding across the field, but Nebraska was suffering most. After they were gone, a couple of guys who were watching NFL football came over to our table. They were Texas Longhorns fans. They’d naturally never been big fans of Nebraska (conference rivalries run deep). The men said they became our fans that night because not only did we handle those other fans with grace, but we actually seemed to understand the game better than most of the people in the bar. They watched the rest of the game with us and cheered for Nebraska. Now that I’m back in Lincoln, I attend as many games as I can. 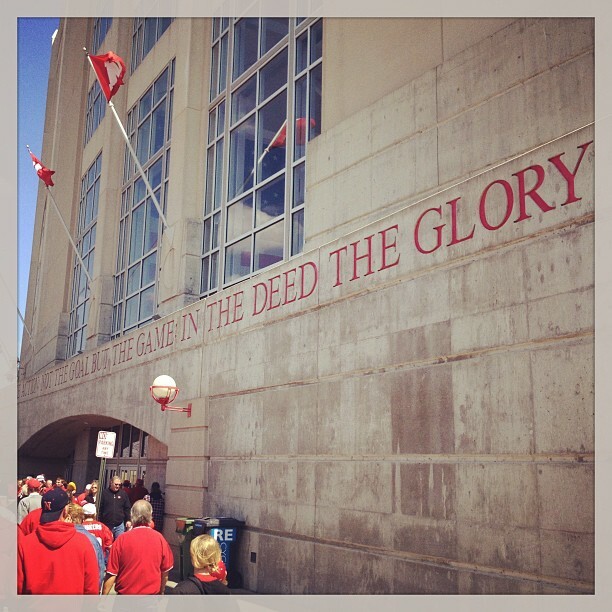 Being in Memorial Stadium on a Game Day is one of the greatest feelings in the world. There’s so much energy. So much excitement. So much tradition. When I can’t watch in person, you’d better believe I’m watching on TV at home or in a bar. Win or lose, I feel like I’m part of something bigger. With that deep of a love, it was only inevitable that I’d one day write a book revolving around the sport. Laura Chapman is the author of First & Goal, The Marrying Type, and Hard Hats and Doormats. Her work appears in Merry & Bright, A Kind of Mad Courage, and a forthcoming Christmas anthology from Marching Ink. A native Nebraskan, she loves Huskers and Packers football, Netflix marathons, and her cats, Jane and Bingley. 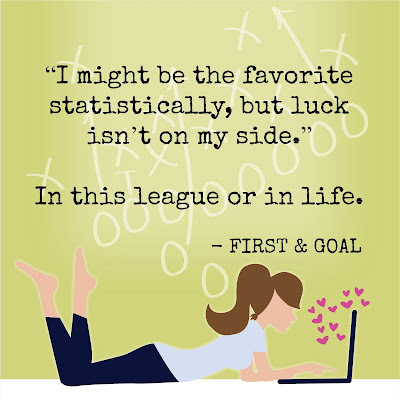 Laura is currently in pursuit of a fantasy football championship while penning her next novel. 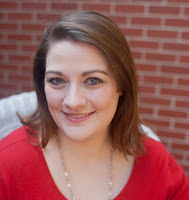 Thank you so much for hosting me on the blog! Love this post, Laura! I am pumped for the game now! GBR!